I originally authored this post on WP Realm, but I moved it back here after that website folded. There is a new plugin in town and it is simply awesome. 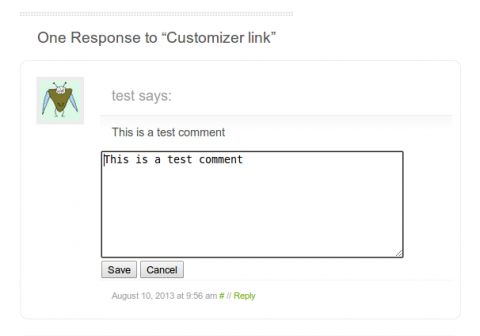 Many of you will have used the popular AJAX Edit Comments plugin for WordPress. 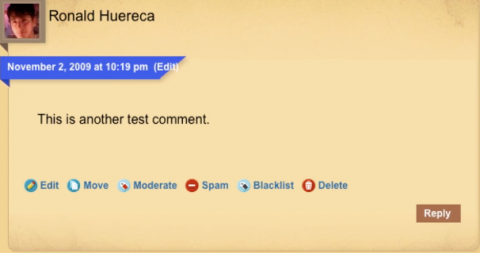 It was created by Ronald Huereca back in 2007 and was very popular; it was unique in giving commenters on WordPress sites the ability to edit their own comments to make corrections. I have always loved the concept of the plugin and had huge respect for the developer. Building a plugin to handle comment editing in this way was well beyond my capabilities at the time. I could never bring myself to run it on my own sites, though: it included it’s own styling and added a lot of bloat to page loads which slowed things down. It looked out of place. The plugin has had a fairly busy history. It started out as a free plugin on the WordPress.org plugin repository and was later placed behind a pay wall. 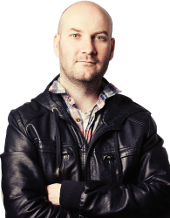 After Ronald took up employment at iThemes, the plugin became part of the paid Plugin buddy family at iThemes and later became free again. Example of AJAX Edit Comments in action, showing some of the extra features present in this plugin. Throughout 2012 and 2013 I have been bugging Ronald to release a new improved AJAX Edit Comments plugin; not half baked bug fixes, but a full blown replacement, replacing all of the buggy, bloated code of yesteryear, with a lean, mean simple comment machine, that did comment editing without the extra faff and excess of its predecessor. Last week, my wishes were eventually fulfilled with the release of Ronald’s new Simple Comment Editing plugin. If you leave a comment on this post (feel free to write test posts, if you like), you will find a handy little edit link to allow you to edit your comment for up to four minutes. 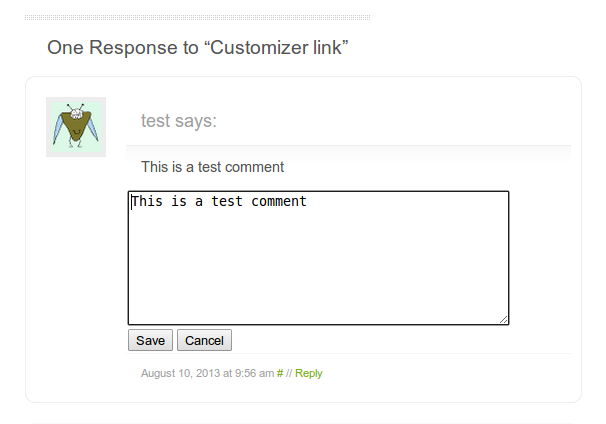 The new Simple Comment Editing plugin does not include any styles and should blend into any theme design. It also includes no options page at all, as it is designed to work straight out of the box with no settings. I installed it on four of my own sites, with no problems whatsoever. It looks good and functions perfectly. To illustrate the substantial change in code base from AJAX Edit Comments to Simple Comment Editing, I’ve compiled the following table. As you can see, the the original AJAX Edit Comments was super simple and lightweight, but over time more and more bloat was added until it became the monstrosity it is today. Simple Comment Editing is lean, mean and almost as small as that original AJAX Edit Comments plugin. Sun outlined a flaw on the recent WP Tavern post about the Simple Comment Editing plugin. This is true, however, although WordPress themes are designed to handle replies being made inline with the default WordPress comment form, they may not work as well with comment editing. If text saying “reply” or similar showed up whilst editing the comment, this could create a very confusing user experience. Perhaps an extension plugin could be made to add support for this, but by default I suspect this would cause more problems than it solved. My dream for the future of the Simple Comment Editing plugin, is that it will remain the lightweight, über simple plugin that it is. I don’t want to see extra bloat. I don’t want to see extra features. I like it the way it is and hope it stays that way forever more. This has immediately become one of my favourite plugins and hope to see it on many more websites in the future. You said to feel free to write a test comment, so I am. PS Thanks for the review. Thanks, you just discovered an error in the blog post 🙂 The link was meant to be to a URL on my own blog, not this post. Thank you. I tried it on the linked blog, and it worked just as it’s supposed to. Yes, I can’t understand why more people don’t use it either – I certainly will be. Perhaps either (1) few people know about it, or (2) people are still using the original WP Ajax Edit Comments plugin (which also allows the user to move comments). I have not seen comment editing option anywhere while commenting. It looks attractive when apply !! It’s definitely a very useful addition to comments IMHO. This is still one of my favourite plugins.